A few days ago, there was a notice in the “Today in History” for June 13, back in 1927, New York City threw a ticker-tape parade for Charles Lindbergh. Lindbergh was a larger-than-life individual of the twentieth century. Famous for being the first person to make a non-stop solo flight across the Atlantic Ocean, lifting off from Roosevelt Field near New York City on May 20, 1927, landing the next day, thirty-three and one half hours later, at Le Bourget Field near Paris. He was given the nicknames “Lucky Lindy” and the “Lone Eagle.” He even named his plane, which he helped design, the Spirit of St. Louis. His flight earned him $25,000 from a New York hotelier, who in 1919 offered the award to anyone who could complete the flight. Many tried and died. His trans-Atlantic flight gained him notoriety around the world. President Coolidge awarded him the Distinguished Flying Cross and Congressional Medal of Honor. Afterwards, he spent three months traveling around the country, visiting forty-eight states and ninety-two cities, and delivered 147 speeches. At many of his stops, awards were given—as well as parades—in his honor. Lindbergh’s flying career began as a stunt pilot at fairs. 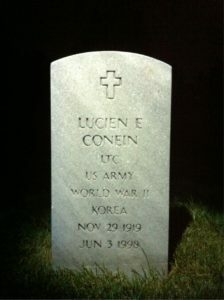 He enlisted in the U.S. Army teaching flying to enlisted men, after which he carried airmail from St. Louis to Chicago. Besides being an aeronautical engineer, he was also an inventor of note. He is given credit for developing an artificial heart while working with a French surgeon during the early 1930s. In 1929, Lindbergh married, Anne Spencer Morrow, a daughter of a U.S. diplomat, who became famous in her own right for her writings, including poetry. On March 1, 1932, tragedy struck when the Lindberghs’ twenty-month-old son, Charles Augustus Lindbergh, Jr., was kidnapped from their New Jersey home. The little boy’s dead body was discovered ten weeks later. After a two-year investigation, the police arrested Richard “Bruno” Hauptmann, who had worked as a carpenter on the Lindberghs’ home. The ensuing trial was sensationalized by the U.S. press corps, and it became known as “The Trial of the Century.” The Lindberghs were so traumatized by the constant attention, they moved to Europe to escape the intrusion into their private lives. While they lived in Europe, the Lindberghs drew close to the Nazi Party, more particularly, Hermann Goering, one of Hitler’s top officials. The Nazi Party even gave him a medal of honor. Lindbergh was impressed with the advanced aircraft of the Nazi Luftwaffe. Naturally, when the citizens in the U.S. found out about this, both he and his wife fell out of favor. It would be later learned that Anne Morrow Lindbergh had become anti-Semite. As the war in Europe erupted, the Lindberghs moved back to the States. He joined and led the America First Committee, a strong anti-war movement that caused President Franklin Roosevelt considerable problems getting the public behind his desire to engage in the European War. Lindbergh believed the United States could not defeat the far-advanced Germans if they became engaged in the war. In his rally speeches at, he stated that the British, the Jewish people, and pro-Roosevelt groups were attempting to lead the United States into this unnecessary war. This forced Roosevelt to denounce both Lindbergh and the America First Committee. Lindbergh then resigned his position in the Army Air Corps. Many Americans wanted Lindbergh to give back his medals, but he refused. After the Japanese attacked Pearl Harbor on December 7, 1941, Lindbergh changed his mind and tried to reenlist, but his request was refused. His desire to serve was so strong, he took a position as a technical adviser and test pilot for the Ford Motor Company and United Aircraft Corporation. While serving in this capacity, he developed cruise control for planes, improving performance. In 1944, Lindbergh ended up flying fifty combat missions in the Pacific War, despite still being an adviser. After World War II, Lindbergh and his family went into seclusion. President Dwight Eisenhower recognized Lindbergh’s talents and restored his commission in the Air Force in 1954, appointing him as a brigadier general. He also remained a consultant to various private airliner companies, including assisting in the design of Boeing’s 747 jet. Later in life, Lindbergh took up a new campaign—the conservation movement. While his passion was much wider, he canvassed for the protection of humpback and blue whales. Then, surprisingly, he claimed opposition to the development of supersonic jets, fearing they would destroy the earth’s atmosphere. Lindbergh’s last days were spent on Maui in the Hawaiian Island chain. He died of cancer on August 26, 1974, and was buried there. What part of Lindbergh’s story is new to you? Were you aware of his various political and social passions? Several Fridays ago, my wife Jayne and I went to Washington DC. Jayne’s brother-in-law, an Army colonel stationed at the Pentagon, gave us a personal tour. We were able to go places in that magnificent building that normal tours never touch, such as the wings of the Secretary of Defense and the Secretary of the Army, among others. There were displays cases filled with memorabilia of MacArthur, Eisenhower, the Secretary of Defense, the Secretary of the Army, and many more. I was completely mesmerized by the displays of the Philippines and Vietnam. While there, I was tempted to purchase a chess set (you know my Pawns novel series), but I decided I didn’t want to carry it the remainder of the day. As some of you may know, Jayne has Multiple Sclerosis, commonly called MS. Her brother-in-law was fantastic in making sure she could stop and rest along the way. We enjoyed a nice lunch in one of the cafeterias, and had the opportunity to meet two officers on her brother-in-law’s staff. My conclusion as we exited the Pentagon: I am glad these young people are guarding our country so we can live the lives we live. Did I say I am impressed? Well, I am. 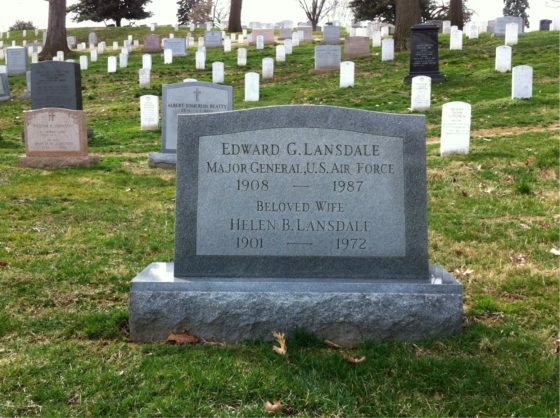 While at Arlington, I planned to go to the graves of two individuals I write about in my novels, Brigadier General Edward Lansdale and Lieutenant Colonel Lucien Conein. While both men were listed as members of the U.S. Air Force, they each had, shall we say, “colorful” careers in the U.S. Central Intelligence Agency, serving mostly in Southeast Asia. Ironically, the men are buried close to each other. 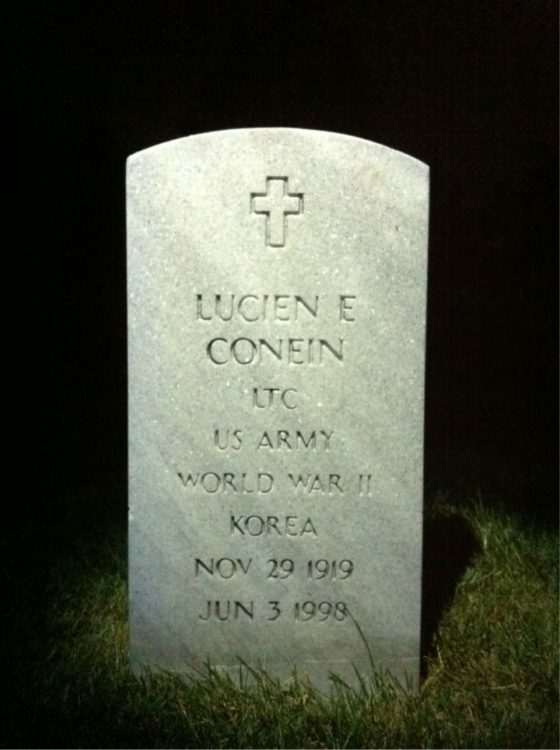 I had planned to include pictures of their tombstones for this blog. However, since we had done a considerable amount of walking, I decided not to push my wife’s endurance, as we still had to walk back to the subway station. Even knowing exactly where their markers were, there would have been no place for Jayne to rest while I scurried through the cemetery. As a personal note, according to Jayne’s fitbit, she had PRed at 4.6 miles. She earned her “at-a-girl” for those numbers. How many have you been to the Pentagon or Arlington Cemetery? I would love to hear your experiences. Please leave a comment below so we can share them with all who read this blog. Thank you. As many of my readers know, I am writing a series of novels based on the “real history” from behind the scenes of the Vietnam Conflict. I wrote several reviews on the Ken Burn’s / PBS excellent documentary on Vietnam. Over the last few months, I have watched Oliver North’s Fox Business News series titled War Stories, which covered the same time periods as my first two novels. Two espisodes in particular got my attention. One focused on the Diem Coup, while another dealt with President Johnson having more interest in his 1964 presidential campaign than in managing the evolving conflict in Vietnam. Three major events—the role of the CIA, the role of illegal drugs, and the Buddhist/Catholic conflicts—are left out of these documentaries that I cover extensively in my novels. They are all controversial topics, which is why they are rarely discussed. Yet, these areas are critical to understanding all that went on in Indochina from the period after World War II through the end of the Vietnam Conflict in 1975. Besides intense research into this time period, I also sought out individuals who served honorably in this conflict to obtain their reactions. In my privileged conversations with those who fought and had friends who died, it has emerged that our troops never lost a big battle. In my studies, the battles the US didn’t win were often when the Viet Cong or the North Vietnamese were allowed to sneak into Cambodia, Laos or back into North Vietnam, and the U.S. troops were not permitted to pursue by orders from above. This was the first war the U.S. fought where ground was not captured. It turned into a war of body counts. Interestingly, the official military records of some of those interviewed don’t record them being in places they remember being in. Coincidence? I think not. Why was Vietnam, Vietnam? First and foremost, Vietnam was the first war that was not about defeating the enemy. It was about preserving South Vietnam in any form of government but communist. It was the first war in which journalists were able to broadcast live. Naturally, the press, seeking to broadcast high drama, sometimes presented things that were never shown during World War II and Korea, when the government censored the war film footage. As Ken Burn’s put it, “America got to witness the war first hand in their living room”—and war can get ugly. Ask anyone who has served. Most won’t even talk about it because they want to dredge up hidden memories. Within the next couple of weeks, my second novel, Pawns: Kings in Check, will be released on Kindle and in paperback. It covers the period during President Johnson’s re-election in 1964. In this book, as with my other novels, I have no agenda to present or protect. 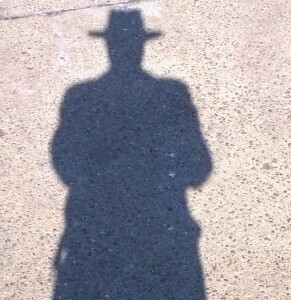 I am only offering the facts and some unknown truths so the reader may draw his own conclusions. I hope you will give a read to my latest novel. Thanks again for your support. On February 23, 1942, just 69 days after the attack on Pearl Harbor, a Japanese long range submarine, I-17 class, attacked the Barnsdall-Rio Grande Oil Field at Ellwood, California, which is just twelve miles north of Santa Barbara. Their attack consisted of firing shells from 5.5 inch deck guns for approximately twenty minutes. They targeted various oil wells along the coastline, including the Bankline Oil Company Refinery. One shell hit a derrick, causing some damage, but, fortunately, no loss of life. Three shells landed near the refinery but inflicted no damage. The other shells failed to hit their targets as the submarine moved slowly, paralleling the coast. How did this attack unfold? At 7:58 PM local time, the Fourth Interceptor Command ordered all radio stations in Southern California off the air. Simultaneously, air-raid sirens were sounded in Santa Barbara. Within a few moments, the coastline was blacked out from Carpinteria to Goleta, California, an area of almost twenty-five miles. Eyewitness reports of the Japanese submarine began coming into the Ventura County Sherriff’s office. The first report came from San Marcos Pass, northwest of Santa Barbara, after hearing the first cannon shot. The observer used field glasses to sight the submarine, which they estimated was located about one mile off shore. The final call came in at approximately 8:30 PM; a minister observed the submarine exiting the Santa Barbara Channel. This same minister also reported he witnessed flashing signal lights by someone on shore. Later, four Japanese and one Italian were arrested. However, there were additional Japanese collaborators. For two hours after the Japanese raid, yellow flares were shot over Ventura County to signal the Japanese submarine. None of these individuals were ever caught. The extent of the damage from the raid was minimal. Some shells landed short of the extensive oil installation; some exploded and blew holes in the machinery. Fortunately, their shells just missed several high-octane gasoline tanks. Interestingly enough, the Japanese submarine remained in the area for another month, traveling up and down along the shipping coastline between Cape Mendocino and San Francisco, attacking various targets. The submarine sunk or damaged oil freighters, shelled shore installations in California, Oregon and Washington; it even launched miniature aircraft to start forest fires with incendiary bombs in Oregon forests. At the end of March, they returned to their home base at Yokosuka, Japan. The Japanese considered reaching the American mainland a great victory. It was celebrated by the Japanese government and navy, who even printed special commemorative postcards so the event could be circulated around the world. This was the first attack by a foreign power on the continental United States since the War of 1812. How did the United States react to this raid and the attack on Pearl Harbor? General Jimmy Doolittle B-25 bombing raided Tokyo on April 23, 1942. (Insert blog link) The attack was a success and a great boost to American morale. Do you wonder how the Japanese knew where to attack and operate relatively undetected? The submarine was piloted by Captain Kozo Nishino, a former Japanese tanker captain who often dined as a guest of Bankline Oil company when his ship was anchored offshore prior to World War II. Were you ever taught this in school? This week is the fiftieth anniversary of the Tet Offensive, which was the most dynamic military event of the Vietnam Conflict. Tet is when Asian cultures celebrate the Lunar New Year. In Vietnam, it’s a super holiday, combining the new year with honoring dead ancestors. The government shuts down. During wars, a ceasefire is declared to allow both side to celebrate. However, the National Liberation Front, more commonly referred to as the Viet Cong (VC), rarely honored this ceasefire. In 1968, South Vietnam started Tet on the last day of January. However, U.S. intelligence did not know the North Vietnamese started their tribute two days earlier. Therefore, U.S. military was expecting the VC and the North Vietnamese to attack but several days later. On the evening of January 31, 1968, a Viet Cong force estimated between 70,000 to as many as 84,000 soldiers, aided by the North Vietnamese Army (NVA), launched a surprise attack on the major cities and towns in South Vietnam. NVA General Giap, the strategic planner for the North Vietnamese, took a huge risk with this all-in attack, hoping this would be their next Dien Bien Phu. Their objectives were to not only win the battles but also break the will of the American public. However, it was not a surprise attack. General Westmoreland had anticipated the Viet Cong and North Vietnamese would attack at the beginning of Tet. However, Westmoreland predicted they would only attack the northern cities of South Vietnam. While the initial attacks did begin in the northern cities along the DMZ, Brigadier General Davidson speculated to General Westmoreland, based on his intel, that once the attack began, it would spread throughout the rest of the country. Westmoreland contacted South Vietnamese President Thieu about canceling the ceasefire. Thieu replied it would be bad for the morale of the South Vietnamese. When the attacks began in Saigon, specifically at the U.S. Embassy, the U.S. military requested help from the South Vietnamese military, but none came. There was no cavalry “riding over the hill.” The irony in this was that the South Vietnamese government had requested they be put in charge of the security surrounding the U.S. Embassy and the immediate area near the Embassy. The VC had a well-devised plan that included an attack on the Embassy. While they did manage to enter the Embassy grounds and kill five U.S. Marines, the U.S. Military Police (MP) and Marine security guards, with inferior weapons consisting of hand guns and a few rifles, repelled the attack, killing all seventeen VC commandos. When the fighting was over, the U.S. troops had decisively defeated the Viet Cong, with an estimated 37,000 VC killed compared to 2,500 U.S. troops lost. Once the VC were defeated, however, the press chose to focus on the negative aspects of the Tet Offensive. The fighting spirit of the MP and Marine guards at the Embassy was not newsworthy. The fighting spirit to defend and keep open Tan Son Nhut Airbase and the military command was not newsworthy. The difficult fighting the U.S. Marines did at the ancient capital of Hue, where door-to-door, hand-to-hand combat was essential to liberating the city, was not newsworthy. Instead, the press focused on issues that conveyed to the American public that U.S. troops were defeated. Why? Because the Viet Cong mounted a coordinated country-wide strike, waged attacks all over the city of Saigon, and held the Embassy grounds hostage for hours—which was enough to push flagging American opinion over the edge. For the last several months leading up to the Tet Offensive, General Westmoreland told the press the VC were close to defeat. If that were true, how could they launch an attack throughout the country—and, more particularly, in Saigon? Vietnam was the first war to be televised. Battles were literally brought into the living rooms of America. Graphic film footage—in living color—was relayed into every nightly news program. Americans at home got to see how ugly war really is. And the youth of American didn’t like it. And, eventually, the parents of America didn’t like it. Soldiers are conditioned to handle the brutality of war. The American public was not. Especially not when they saw a VC spy killed at point blank range in Saigon. Or a Napalm girl running for her life. The American public were shown mostly negative film, which, of course, had a profound influence on public opinion. So much so that the men and women who proudly served felt disrespected and humiliated. Many didn’t even want to admit they had served. This is why I chose to write my series on Vietnam. Someone needs to reveal the whole story—the true story. Why was the United States in Vietnam anyway? What was going on behind the scenes? What really happened where no cameras were allowed? 4) Lastly, oppressing their own people to the point that students went into the streets this week to protest not the United States or Israel, but their own government. The Iranian government has had a tenuous relationship with college students for years over internal reform. The latest protests began when a secret document appeared in the Iranian public domain showing their federal budget. According to Dr. Steve Pieczenik, this budget showed how much money was going to radical Mullahs, Hezbollahs, and Hamas. Additionally, the military—more specifically, the Iranian Republican Guard and their highest ranking General Soleimani—were skimming funds. Despite having substantial crude oil reserves, the country is running out of gasoline due to economic and trade sanctions. This protest is different from previous protests led by students, and it is likely to pick up momentum as more citizens become informed of this budget, which proves a lack of concern for general human rights. The country is headed into a deep recession, and their students are not finding jobs. Did I mention youth unemployment is over forty percent (40%)? For the most part, Iranian students, particularly those educated outside their country, tend to be more moderate in philosophy than the hard line religious zealots running the government. The students are seeking economic growth, which would lead to those sought-after jobs. This time, unlike previous protests, several US government officials, including the President of the United States, has come out and supported the students. It is likely the Iranian government will be supported by the Chinese and the Russians. So, this protest is a long way from having the strength to make changes or overthrow the dictatorship. The previous protests were for reasons other than the budget—they were over governance. In 2009, there was a protest over a Green Party candidate. That particular protest went on for six days and resulted in a number of deaths and thousands of arrests. The United States government failed to come out and support this protest, which may have eventually gained enough strength to overthrow the government. The Obama Administration felt they could not support the revolution while planning future negotiations with the Iranian government to cut a deal regarding their nuclear program. I know they didn’t start formal negotiations until 2015, but the groundwork was done unofficially before the final meeting started. With most diplomacy, when formal meetings began, there has already been informal groundwork so as not to put elite diplomats in embarrassing positions. Plus, the Iranians knew the Obama Administration was so desperate for an agreement, they would win every key point. Likewise, there is considerable mistrust within Iran of the United States and others, due to American, British and Russian interference in their selection of leaders in the 1950s. At that time, the prime minister of Iran was Dr. Mohammad Mossadegh, appointed by the Shah of Iran, Mohammad Reza Shah Pahlavi. The Shah claimed to be a member of the royal family of Persia who could trace his family back to ancient Persia. That point is debatable. When Mossadegh and the Iranian parliament decided to nationalize the crude oil business, this put Great Britain and the United States in action behind the scenes. The British had major investments in Iran developing the crude oil in the country. Great Britain and the United States were already on edge because Mossadegh had made several fiery nationalist speeches regarding the outside influence of the British in their crude oil business. The British and the Americans decided that Iran may be moving toward an alignment with the Soviet Union, through the influence of their communist party, the Tudeh Party. For a period of almost a month in the summer of 1953, intelligence agents from the United States (CIA) and Britain (MI6) jockeyed with those from the Soviet Union (GRU and KGB) for control of Iran and their vast amount of reserves. Ultimately, the United States and Britain won, but the story soon came out how all of this was orchestrated behind the scenes. Due to the Shah’s cozy relationship with the Western World, he led the country to a Western style of prosperity, but that ended in the late 1970s. Radical Muslim leadership, with the help of the Soviet Union, overthrew the Shah, leading to the rise of Supreme Leader Ayatollah Ruhollah Khomeini. Most know the story of the fall of the US Embassy in Iran and hostages being held in captivity for 444 days. So back to today. It’s only natural that the Iranians don’t trust anybody. It’s a pivotal time for a very powerful regional country in the Middle East. Considering their recent conflicts with Saudia Arabia, it would not surprise me to learn the Saudis have agents in Iran. It is my opinion it would be good for the peace of the world for the removal of the radical Mullahs and the current political system, but I also believe we must support the Iranian people and let them create a new government, with new military leaders that may have a more favorable opinion of their neighbors and the United States. The students and the population must accept that deaths and arrests will occur, as well as direct conflict with the military, but they can make the changes. We have seen this in other places around the world like the Soviet Union. Likewise, if a new, more moderate government and military would come into power, then perhaps their relationship with North Korea could be stymied. But the United States must understand the people may choose not to create a democracy, and the United States must continue its new policy of staying out of nation-building. I am rooting for the Iranian students. How do you feel about this important development? No, I’m not writing about the administration you think. Instead, this is about the Franklin D. Roosevelt administration, which was inundated with Soviet spies in about every department, even at the highest levels. Previously, I wrote about the Roosevelt administration regarding Pearl Harbor (LINK). While I don’t believe the Soviets (Russians) influenced any of Roosevelt’s four successful elections, I do believe they had a great influence over our policy. Enter Harry Dexter White with a Ph.D. in economics. A pre-eminent economics journalist and an advisor to Henry Morgenthau, Jr., Secretary of the Treasury, Dr. White was appointed to the Treasury Department in 1934. Soon thereafter, unbeknownst to the Administration or the Treasury, he joined the communist organization known as the Ware Group, which was led by Harold Ware, a member of the Communist Party of the United States. 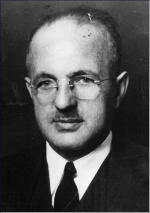 Ware worked closely with Joszef Peter, head of the underground section of the American Communist Party, whose plan was to influence policy at several levels of the government. Dr. White was promoted through the Treasury Department until he was placed in charge of Monetary Research, and, by 1941, was assigned as Assistant to the Secretary. Dr. White was now in the position to exercise influence on U.S. foreign policy. His authority went beyond the scope of his defined position. 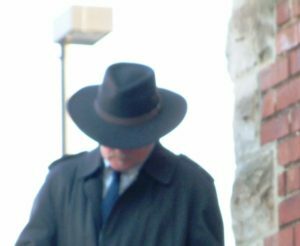 Dr. White was recruited as a spy by Jacob Golos, then passed to Vasily Zarubin, the head of the Soviet Embassy in New York. Zarubin started handling White for several reasons, Golos was ill and Zarubin recognized the potential of White. In 1944, White was one of the most important figures at the Bretton Woods conference. He argued for the end of economic blocks and a greater use of free trade agreements. At the Bretton Woods conference, Henry Morgenthau, Jr., was instrumental in establishing the International Monetary Fund (IMF), among other international organizations, for the end of “economic nationalism.” White’s goal was for Western nations to develop better economic and political relationships with the Soviet Union. On September 16, 1944, the Morgenthau Plan, written by Dr. White and Mr. Morgenthau, was presented to President Roosevelt at the Quebec Conference. The plan was discussed and approved by Winston Churchill. It called for the stripping and pillaging of post-War Germany, converting it into an agrarian society. All industrial plants and mines not destroyed by military action would be dismantled or destroyed. One of the most unbelievable points called for an extensive list of Germans who would be shot upon apprehension, while the rest of the population would be held down to a standard of living no higher than bare subsistence. This plan was basically what the Soviet Union did with occupied East Germany. Someone in White’s department leaked the plan to the press. This created a gigantic political problem for President Roosevelt, who denied its existence. Ultimately, Roosevelt had to make a statement that his Treasury Secretary had made “a serious blunder.” When Joseph Goebbels learned of the Morgenthau Plan, the Nazis used the information to scare the German people into not surrendering, which prolonged the war and the Jewish holocaust. Immediately, Germany stiffened its resistance on the Western front. Until then, it was thought the Germans might discontinue resistance to Allied forces, out of fear of their fate of Soviet occupation. Clearly, this ugly plan prolonged the war by months and caused communism to spread not only to East Germany, but to other eastern European countries. In December 1945, the FBI sent President Truman a report showing that Dr. White was a Soviet spy. Truman ignored the warning. In 1946, White was promoted to executive director of the U.S. Mission to the International Monetary Fund. Again, the FBI sent President Truman a second report regarding Dr. White being a spy for the Soviet Union, but the President did nothing. Elizabeth Bentley testified before the House of Un-American Activities Committee (HUAC) on July 31, 1948, that Harry Dexter White was a Soviet spy. Bentley told the hearing, “We were so successful getting information… largely because of Harry White’s idea to persuade Morgenthau to exchange information.” She went on to say that at least “seven or eight agencies” traded information, including branches of the military. On August 13, 1948, Dr. White appeared before the committee. Before the hearing, White had sent a note to J. Parnell Thomas, the chairman of the HUAC, asking for rest periods of five or ten minutes for each hour of testimony, as he was recovering from a severe heart attack. During his testimony, Dr. White denied being a communist with this statement: “The principles in which I believe, and by which I live, make it impossible for me to ever do a disloyal act or anything against the interests of our country… I believe in freedom of religion, freedom of speech, freedom of thought, freedom of the press, freedom of criticism and freedom of movement.” He admitted knowing some of those communists identified by Bentley, but just because they played softball and volleyball together did not mean they were part of a spy network. Thomas replied, “For a person who had a severe heart condition, you certainly can play a lot of sports.” White retorted he had played sports before he developed a heart condition. On August 16, just three days after his testimony, Dr. Harry Dexter White died of a heart attack. In 1953, Senator Karl E. Mundt issued a report to the Committee on Government Operations documenting that Dr. White’s hand-picked Treasury assistants had transferred currency plates, currency paper and currency ink to the Soviet Union. This treachery assisted the Soviet Union in firming up their occupation of Eastern Europe and Germany with the use of U.S. credits. The occupation currency would eventually be redeemed by the U. S. Treasury at the cost of tens of millions to the American taxpayer. The Russians and the Americans have been spying on each other since Lenin came into power, and it will likely go on until the end of time. This is just one example. Were you aware that Roosevelt had spies in his Administration? I graduated from college in the spring of 1977. At that time, we wondered what the future would look like at the beginning of the twenty-first century. We imagined flying car, robot maids, and living like the Jetsons. Life is now seventeen years into the twenty-first century, and few or our imaginings have materialized. Our only shot at personal flying contraptions is large drones, which we’d have to learn to steer by leaning and figure out a safe way to stop and land. Good luck with that. One of the reasons we don’t have cars that fly is because of all the questions they create. At what height would we fly? Would it be controlled by current air traffic controllers or would we need a whole new control set up? Too many questions without answers. I am still stuck on steering a drone by leaning. How does this relate to the history that we were not taught in school? Well, it does in a weird sort of way. In a short blog, it’s impossible to talk about all the promises of the past and the few that have been fulfilled. So, I want focus on the computer world–where it was in 1977 and where it is today. During my time in college, I took some college courses outside of my major subject, including computer science programing. We dealt with punch cards and, yes, sometimes hanging chads. To show you how smart I was, I took this class self-pace. At midterm I had done, well, little. Okay, nothing. Then I made a brilliant decision—I didn’t need to know about computers, so I would get someone to do my computer work for me. Brilliant. In hindsight, even though I didn’t become a computer programmer, it would have been wise to get ahead of the curve on learning about computers. I got my first computer in 1986. It was a Tandy with two 6” floppy disk drives. I thought it was the greatest thing ever. I could type reports and edit them and save them on disks. I could even do spreadsheets—with the calculations done by a computer. Within a year, I was hired to do a complicated report, so I purchased a computer with both a 6” and a 3 ½” floppy disk drive. We could store twice as much on the smaller disk than on the larger one (which was still next to nothing in today’s world). This allowed me to sit in my office and work longer hours. (We were told that computers would speed tasks up so fast that we’d have more leisure time. That hasn’t happened yet.) Computers in that day would lock up on a regular basis. The screen came in one color—green. But, even with restarts and lost work, it was better than a pen and yellow pad and/or a typewriter. My wife told me about the computer room at the bank where she was employed. It contained what looked like four giant refrigerators with workstations attached to each. You had to wear a coat in that room because it was so cold. Each one of the “giant refrigerators” had big reels of magnetic tape whirling back and forth. Yes, data stored on magnetic tape was cutting edge at the time. In the early 1990s, one of my client’s, a real computer nerd, told me that early in the twenty-first century, computer companies would virtually give away their computers because they would make all their money on software and license fees. At that time, you would pay around $5000 for a good high-end computer—and network computers were almost twice that. The home/office computer setup included a bulky monitor, a keyboard (sometimes attached to the monitor), and a large housing unit. Laptops were just starting to hit the market, but they were heavy and very inefficient, while pad computer technology was still on the drawing board. Now, home/office computers will soon be obsolete. Laptops are the driving force, with docking stations to plug in multiple monitors, keyboards, printers, etc. And those laptops have dropped in price. As to computer software—it is much more powerful, but it’s come way down in price due to competition. Annual licensing fees are where the money is on most Cadillac software. Today, most computers have more ram than the second and third generations of internal hard drive computers in the 1990s. For that matter, thumb drives and cellphones have more storage space. Finally, to show how computers have evolved they are more powerful than ever imagined in the 1970’s and I haven’t even mentioned the role of the internet, first starting in 1969 (called ARPAnet linking two remote computers). Sorry Al Gore. But the impact they have had on computers—and life as we know it—is beyond Al Gore’s wildest dreams. So what stories do you have regarding predictions for the twenty-first century? How close were your imaginings to current reality? Like many individuals, I have spent a considerable amount of time studying the assassination of President John F. Kennedy. I was thrilled when I heard that President Trump was going to release the secret files that have been sealed since 1963. I was hoping the truth would finally come out. Well, a large number of files were released last week. However, a few were still held back to be reviewed by national security personnel. That was disappointing but understandable—maybe. Supposedly, the redacting of documents was only to remove the names of all individuals still living. It has been my long-held opinion that the Warren Commission was made up of officials with their own agendas; thus, information was overlooked and they arrived at their single gunman theory. Many still believe their conclusion: that Lee Harvey Oswald was the lone gunman who miraculously used an old Carcano (an Italian bolt action rifle) to fire three shots in under six seconds; the first of Oswald’s bullets was a through and through on the President’s neck; the second shot hit the curb to the left of the limousine and then the third shot—you know, the magic bullet— killed the President and wounded Governor Connelly. To believe this conclusion, Oswald was either the most skilled of shooters or the luckiest. I have watched a few documentaries where highly skilled marksman made these three shots in under six seconds and hit the 22 MPH moving target. This was to make the Oswald assassination story believable. Think about that. However, all available information concerning Oswald’s shooting skills reveal he was not that good of a marksman. Did he sandbag when he was tested in the military? Did the Cubans or the Soviets or the Mexicans or our own CIA “train him up” when he was supposedly working with them? It doesn’t seem plausible. Sadly, everyone with an agenda tends to look at the dreadful day with their respective slant on the facts. Admittedly, I am one of those individuals. I believe there was a conspiracy to assassinate the President. And, by definition, a conspiracy means there were at least two—probably more—individuals involved in the crime. I have been to Dallas and I have walked around Dealey Plaza to see first-hand where the assassination took place. I can tell you, the area gives off an eerie vibe. I have read witness statements taken by the Dallas police and detectives. Many of these individuals were never questioned again by any other agency, nor was there any follow-up on their original statements. I believe there were more than one gunman at the scene. Now, I am not saying all the gunmen present took shots. The weakness of my conspiracy theory is that the conspiracy itself had to have very few co-conspirers, because it’s hard to believe everyone involved would have stayed silent after such a heinous act—especially after much time has passed. Frankly, I was hoping the release of the documents would put “a bow on the package” of whatever really happened that day. But I don’t think that will happen. Earlier this week, I listened to an interview of FBI Special Agent Don Adams, who investigated Joseph Adams Milteer, who had made threats against the President. Milteer was interviewed on November 9, thirteen days before the assassination. Special Agent Adams claimed that after he filed his official report, his superiors asked him not to speak about some of the things he’d learned. Additionally, they ordered him to alter some of his original report. Adams believed that Milteer either knew about the assassination plot or was one of the co-conspirators, and that Oswald was set up to take the blame. Moreover, FBI Director J. Edgar Hoover dictated a memo on November 24, 1963, saying: “The thing I am concerned about, and so is Mr. Katzenbach, is having something issued so we can convince the public that Oswald is the real assassin.” Hoover wanted the American public to believe Oswald acted alone. Stories or interviews like those lead me to believe that the release of these files will do little to resolve the controversy. Some will review these new files and draw different conclusions. However, many on either side of this argument will not be swayed. Why, you ask? Because it appears that many of the real facts were either never written or were later altered, and are now buried in time. Will the American public believe that documents were not destroyed or altered? Some will say yes, many will not. All the release will do is create a conspiracy within a conspiracy. Ngo Dinh Diem was elected president of South Vietnam because of his vision for growing the country’s economy and protecting its population. With the United States’ financial assistance, Diem industrialized several regions within the country. He came from one of the elite families of Indochina, he was educated in British Malaya, and, before going into politics, he considered going into the priesthood. His presidency was greatly influenced by his strong religious beliefs. Initially, his social reform was structured around Catholic and Confucian beliefs, such as closing brothels and opium dens, some of which ran contrary to long-practiced standards. He made divorce and abortion illegal. With this growth came the establishment of respectable universities within South Vietnam. He also promised land reform, since much of the country’s property was held by a small minority, predominately Catholic families. Moreover, the Catholic Church was the largest landowner in South Vietnam. There was a dark side to what appeared to be positive developments. While implementing his plans for social and economic change, he was also consolidating his power against the other warlords and their families throughout South Vietnam. By 1960, the Diem Presidency and his political party, Can Lao, were on shaky ground due to his provocation of the predominately Buddhist population. Diem selected mostly Catholics to political appointments. Even in the military, Catholics climbed the promotion ladder faster than Buddhist officers. President Diem also jailed approximately 40,000 political prisoners. Additionally, his special police force, run by his ruthless brother Nhu, killed an estimated 12,000 opponents to his policies. The 1961 inauguration of United States President John F. Kennedy brought a fresh set of eyes to Southeast Asia in general and Vietnam in particular. President Eisenhower had been willing to fight communist advances at every single doorstep. Kennedy defeated Eisenhower’s Vice President Richard Nixon by running on a change in policy with more emphasis on economic growth at home along with more social reform. Kennedy was a young, inexperienced politician who brought a considerable number of fresh faces into his administration. Kennedy felt compelled to move forward with several foreign operations, since they were already developed so far he had no choice. One of the those was the Bay of Pigs, which failed miserably due in part to his Secretary of Defense Robert McNamara’s last-minute decision. But that development caused Kennedy to quickly stop and review many of Eisenhower’s programs—specifically, the US involvement in South Vietnam and the CIA. Kennedy removed Allen Dulles as head of the CIA and appointed John McCone, an industrialist with no government experience. However, in a surprising move, he appointed Edward Lansdale, who had run OPERATION MONGOOSE, the Cuban debacle, to a special position in the Department of Defense to assist with South Vietnam. Why, you ask? Because Lansdale had spent time in Vietnam in the 1950s and was very close to President Diem. Kennedy needed insight and experience. He had begun to wonder about the stability of the Diem Presidency and the military role the United States served in that country. Kennedy was under pressure from all sides to make something positive come from situations that had only negative options. First, the military wanted to increase its role in South Vietnam, yet retired General Douglas MacArthur told Kennedy that Vietnam was no place for ground troops. Next, Kennedy had concerns about Diem but was unable to come up with a suitable replacement who would be willing to work with the United States. And third, there was political pressure for the Free World to confront the Communist World at every opportunity. Kennedy, a Democrat, did not want to be lumped in with Democratic President Harry Truman, who was perceived to have mishandled the Korean War. Kennedy believed there had to be a resolution for South Vietnam or it would be used against him in the 1964 re-election campaign. Just after Kennedy was elected, an attempted military coup on Diem failed. On December 20, 1960, the North Vietnamese government, lead by Ho Chi Minh and Le Duan, saw these internal divisions within South Vietnam, coupled with the military coup, as a sign of weakness. They formed the National Liberation Front (NLF), or, more commonly called the Viet Cong. President Diem attempted to counter the renewed Viet Cong activity with another program called the Strategic Hamlet Program, which was designed to move individuals from smaller, unprotected villages into newly constructed “hamlets” complete with housing, schools, wells, and a watchtower. Additionally, the US supplied weapons, via the South Vietnamese Army, to the people in the hamlets to aid in their protection. The program was designed to protect the population from harassment by the Viet Cong. Yet, many of the villagers resented being moved from their homes, including some who had occupied their land for many years. Moreover, many of the displaced citizens were farmers, not fighters, so they allowed the US weapons to fall into the hands of the Viet Cong. The irony of moving the population around was that 75% of the land was still owned by 15% of the population, mostly Catholics. As unrest grew among the population, Diem started cracking down on the Buddhist Monks, whom he believed had turned political and were keeping the population upset. This served only to make Diem even more unpopular. In February 1962, there was another military coup when the Air Force bombed the Presidential Palace. Again, they failed. This is where my novel series begins. My series will cover many of the events of the recent Vietnam Documentary presented by Ken Burns and Lynn Novick. 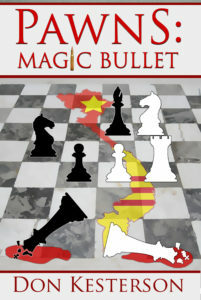 However, my novels also deal with key elements of the Vietnam Conflict that were not addressed within this well-done documentary, such as the role of the CIA and illicit drugs. I want to show my readers the real history behind the Vietnam Conflict, not just what we were taught in school. Do you have any special insights into what really happened? If so, please drop me an email or leave a comment. I would love to chat with you.